Paranormaly Yours: ATTACK OF THE 14 NIGHTS OF HALLOWEEN GIVEAWAY BLOG HOP! ATTACK OF THE 14 NIGHTS OF HALLOWEEN GIVEAWAY BLOG HOP! 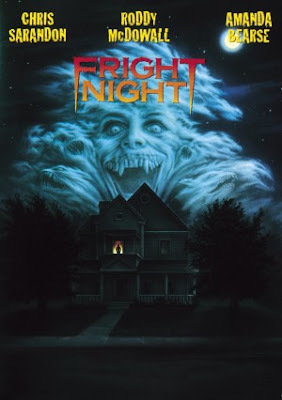 My all time favorite scary movie is Fright Night (1985). I can't recall when I first saw this movie, but I know from the powers of deduction that it was when I was young. Both my husband and I love this movie, and catch ourselves watching it throughout the year, not just during Halloween. I have always had a fascination with vampires, (I know right!) and so needless to say any movie in my top 10 list will have vampires in it, lol. I would have to say what I love the most about this movie is Peter Vincent's character. Peter for me was the ultimate iconic hero. I had a thing for the hero's, ok! Although I do love the original movie, I have to say they did the remake right in 2011 with Colin Farrell, ( holy bejesus yes!). However, I am sticking to my guns with the original. I would love to hear from my followers, and the newbies what your favorite scary or non-scary Halloween type movie is. It's always such a hoot to hear from fellow movie lovers! PY'S TOP EPIC STORIES OF 2016! FOSTER AN AUTHOR WEEK WITH D.S. WRIGHTS!